Charles Babbage was born in 1791 in London. He began to show his talent for mathematics and invention from an early age. Following a private education, Babbage went to study at Cambridge in 1810. However, he disagreed with the theories of mathematics taught there and set about supplementing his lectures with European theories of mathematics instead. Babbage established the Analytical Society with a group of fellow mathematics undergraduates. They wrote and published a history of calculus and a translation of Sylvestre Francois Lacroix's book on differential and integral calculus. Whilst still at Cambridge, Babbage speculated about producing a machine to calculate logarithm tables for astronomy and navigation. He graduated in mathematics from Cambridge in 1814 and was made a fellow of the Royal Society in 1816. In 1819 Babbage began to design and construct a reliable mechanical calculator capable of producing and printing accurate tables. 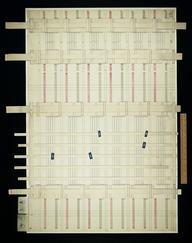 By 1822 he had built a small calculating machine, or 'Difference Engine', able to work out complicated equations. With the backing of the Royal Society, Babbage secured an initial government grant of £1,500 to build a larger machine. Work on the Difference Engine began in 1823, but was slower and more expensive than Babbage anticipated. Babbage's progress was further interrupted by personal tragedy when his wife and two of his children died in 1827. By 1834, the government had contributed £17,000 to build the machine. However, Babbage's disagreements with both his engineer, Joseph Clement, and the government meant work on the Difference Engine ceased altogether. In 1842 the government took the final decision to abandon the Difference Engine. By this time, Babbage was working on a more sophisticated engine, the 'Analytical Engine', which could perform multiple calculations, store numbers and be programmed using punched cards. 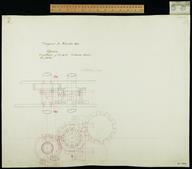 Babbage's detailed drawings reveal the engine to be in many ways analogous to modern computers. He applied what he had learnt to design the 'Difference Engine No. 2', an improved version of his original engine. Babbage continued to work on the design of the Analytical Engine for the rest of his life, creating several different versions of the machine. He was convinced of its usefulness but lacked the funding to build it. The machine was never completed. Although Babbage is best known for his calculating engines, he was a lifelong inventor with a passion for improvement. His designs included an ophthalmoscope, an automaton for playing noughts and crosses, a ‘black box’ recorder for monitoring railway tracks and ‘speaking-tubes’ linking London and Liverpool amongst many other ideas. 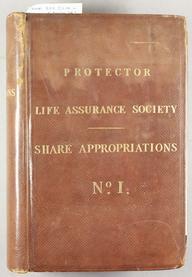 Babbage was also enthusiastic about promoting the usefulness of science in society. He helped set up the Astronomical Society (1820), the British Association for the Advancement of Science (1831) and the Statistical Society of London (1834). Between 1827 and 1835 he held the Lucasian Chair of Mathematics at Cambridge. He died in London in 1871, still working on the Analytical Engine. In 1991 the Science Museum constructed the Difference Engine No. 2 to commemorate the 200th anniversary of Babbage’s birth. The machine was based on Babbage’s original plans and demonstrated for the first time the viability of his designs. Figure 1, Plan / Figure 2, elevation, Figure C Carriage No 4. 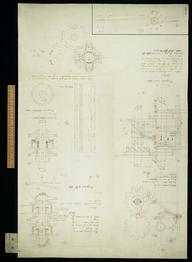 Elevation of Difference Engine No. 2. 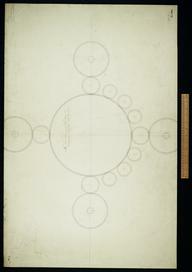 The first drawing of the circular arrangement of the new engine. Scribbling Book Vol XVI. Various analytical developments adapted to engine. 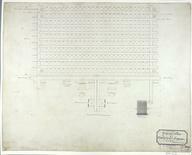 Sketch of a plan for reserving the carriages. Untitled. This drawing is a cardboard model. 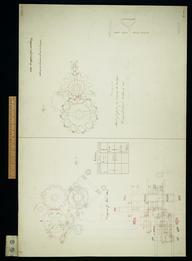 General plan of Analytical Engine, quarter size. Figure 1. Plan, elevation and detail. Sketch No. 11, circular, arrangement. Shows 27 variables.